Be the first to share your favorite memory, photo or story of Lyn. This memorial page is dedicated for family, friends and future generations to celebrate the life of their loved one. 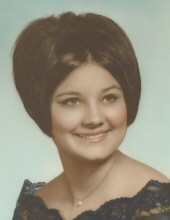 Lyn Bates, age 70 (but insisted that she’s 21) passed away on Saturday, April 6, 2019. She was born in Riverside, California to the late Anton “Tony” Faldik and Winnifred “Bobbie” Faldik on January 26, 1949, or 1998 according to Lyn. Lyn was a counselor for troubled youth for a number of years until her retirement in 2010. She spent the majority of her retirement volunteering at the Oklahoma City Animal Shelter, where she walked and cared for the dogs that were waiting to be adopted. Always a dog lover, it was important for her to be surrounded by furbabies; nothing brought her more joy than seeing a pooch find their “forever home”. She donated money to multiple rescue charities and even had a water bowl in her car, in case she encountered a lost dog to rescue. She had 3 dogs of her own to keep her company and to spoil-Cedar, Sage, and Brindee. She also took her job of doggie grandma very seriously. She loved to travel, especially to South Dakota and New Mexico. It was her dream to live in Santa Fe or Albuquerque , and that was contingent on winning the powerball, of course. When she wasn’t spoiling her dogs, she spoiled both of her grandchildren, Ella & Gage Bates. She is also survived by her husband of 50 years, Robert “Bob” Bates, her two children, Robin & Ryan Bates, her daughter-in-law, Amy Hodges-Bates, nieces and nephews. Service to celebrate her life will be held at Barnes & Frederick in Midwest City on April 10, 2019 at 10am. The family wishes to thank those who have extended a helping hand and emotional support for Lyn during her final days. Family is requesting that in lieu of flowers/plants; please make a donation on behalf of Lyn to the ASPCA, Oklahoma City Animal Welfare, or Stephenson Cancer Center in Oklahoma City. To send flowers or a remembrance gift to the family of Lyn Bates, please visit our Tribute Store. "Email Address" would like to share the life celebration of Lyn Bates. Click on the "link" to go to share a favorite memory or leave a condolence message for the family.